Thomas Jefferson. A complicated man. Our third president was an architect, explorer, historian, philosopher, lawyer, voracious reader and scientist. But he also owned more than 130 slaves, fathered six children by one, and freed only seven. The rest, some of whom had lived in slavery for three or more generations at Monticello, Jefferson’s Virginia plantation, were sold to pay off Jefferson’s enormous debts after he died. Through October 19, an exhibition at the National Constitution Center in Philadelphia explores this paradox, an eye-opener for anyone who has come to know Jefferson as a mythical and moral Founding Father. 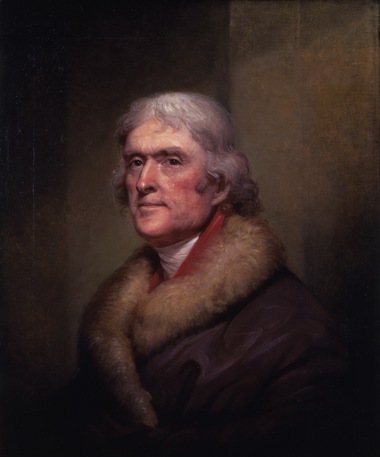 Thomas Jefferson by Rembrandt Peale. “Slavery at Jefferson’s Monticello” tells the stories of six enslaved families who made Monticello possible. It also tackles the dilemma of slavery in the United States. Even though Jefferson advocated individual freedom and self-government, slavery made possible the comfortable world he knew. Other families oversaw the plantation when Jefferson was away, tended the farms, made barrels, shoes and nails, cared for horses and blasted rock. 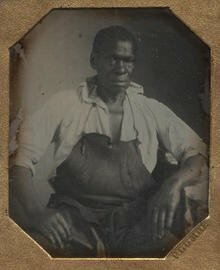 “Understanding the details of the lives of enslaved people adds to our understanding of history, and our understanding of race relations today,” said Lonnie Bunch, director of the National Museum of African-American History and Culture that partnered with the Thomas Jefferson Foundation on the exhibition. Isaac Granger was overseer for the Monticello farm. By 1770, one-fifth of the total population of the American colonies were slaves. Jefferson was not alone in owning them; 12 of the first 18 American presidents did. The 3500-square-foot exhibition is packed with 280 artifacts. Some are fascinating Jefferson-designed gizmos like silver spectacles and a rotating bookstand that held five open books at one time. There are also videos and an optional iPod audio tour. Some sections just take your breath away. A life-size statue of Jefferson stands in front of a wall that bears the names of each of his slaves, written in his own hand. Nearby is a replica of the portable desk he used to draft the Declaration of Independence. In addition to being a national quandary, slavery was Jefferson’s as well. As slave owners went, he tried to be “humane.” He supplied clothing twice a year and blankets every three years. He gave newly married couples a cooking pot, a sifter, and a burlap sack to make a mattress. 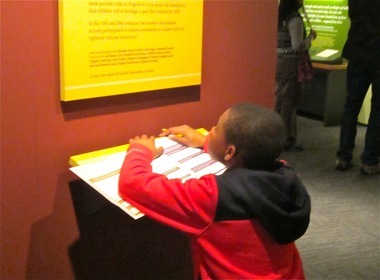 A special brochure helps children learn what life was like for an enslaved family at Monticello. He provided eight quarts of cornmeal, a half pound of meat and four salted fish a week. Slaves could also grow their own vegetables and trap animals. But despite all of his ingenuity, Jefferson couldn’t see how to remove himself or the country from “this deplorable entanglement,” this “moral depravity” on which his livelihood depended. 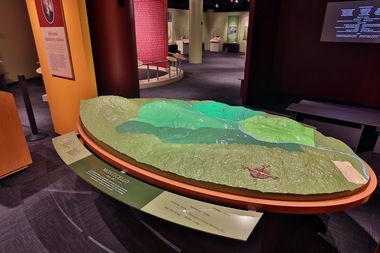 Jefferson’s world at Monticello is shown on a topographical map. He also believed that white Americans and enslaved blacks could never live peacefully together. So he wrestled with solutions that ranged from outright abolishment of slavery to gradual emancipation to sending slaves out west or back to Africa. But when push came to shove, little changed in his lifetime. When Jefferson died, he was $1 million in debt (in today’s dollars). His home and slaves were sold at auction. In 1993, historians at Monticello began interviewing descendants of the families who had, as slaves, made Monticello possible for Jefferson. A video highlights some of their stories and accomplishments.